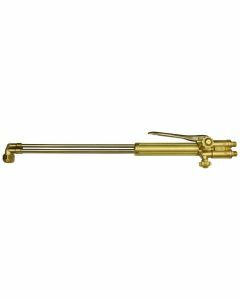 Welding Supplies from IOC provides a couple of the best Thermal Dynamics Cutting Torches to offer. Thermal Dynamics has been innovating and developing top of the line products since the 1950’s. Since then, they have refined their cutting torch model and technology to come up with one design and make-up that will give maximum efficiency and cutting capability. We also offer quality cutting torches from Miller and Victor as well. 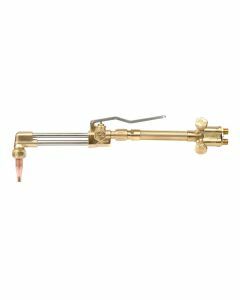 Browse through our selection of cutting torches to find exactly what you’re looking for. 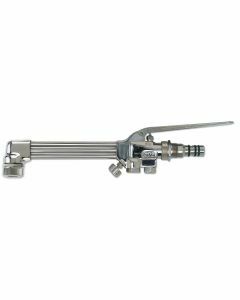 A quality Torch available with Welding Supplies from IOC is the Thermal Dynamics SL100, 20 Ft Plasma Torch with Lead, for Cutmaster 82 (7-5206). The 1Torch™ RPT torch is the first plasma cutting torch that performs with virtually all plasma cutting power supplies. The 1Torch works with high frequency start systems, CD start systems, touch start systems and moving parts (blow back) start systems. Install the 1Torch on your current plasma power supply and you immediately benefit from the latest in high performance torch technology available today. Look for the Thermal Dynamics mark on your plasma consumable parts for genuine Thermal Dynamics consumables.